Andrew T. Arroyo is an associate professor in the Department of History and Interdisciplinary Studies and co-director for the Office of Learning Communities at Norfolk State University, a public HBCU. Learning communities are an ongoing partnership between student affairs and academic affairs at NSU. Recently, Andrew served as lead author and program director for a $150,000 institutional career preparation grant. He is also an affiliate and mentor with the Center for Minority Serving Institutions (CMSI) at the University of Pennsylvania. Prior to entering the academy, Dr. Arroyo worked for 13 years in for-profit and non-profit contexts as an entrepreneur, leadership trainer, and ordained minister and pastor. An active researcher, he is currently lead on a longitudinal, multi-institutional test of two models of student persistence at residential and commuter HBCUs. He is co-author of The African American Student’s Guide to STEM Careers (2017, Greenwood Press), and Black Female College Students: A Guide to Student Success in Higher Education (forthcoming, Routledge). 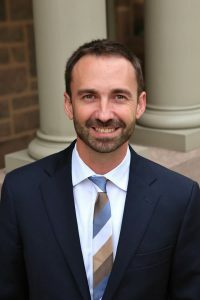 In addition to presentations at national conferences, Dr. Arroyo has published in such journals as the Journal of Student Affairs Research and Practice, Journal of Diversity in Higher Education, Learning Communities Journal, Teaching Theology and Religion, American Journal of Education, Journal of College Student Retention: Research, Theory, and Practice, Spectrum: A Journal on Black Men, Teachers College Record, and the Journal of Transformative Education, among others.